MADE FROM PREMIUM MATERIALS – Our BBQ mats are made from 100% PFOA-Free materials.With proper using, they can last for years. 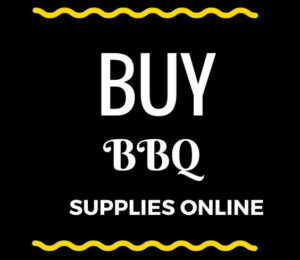 MULTIPURPOSE – Our grill mats works on any kind of barbecue grill – Weber, Charbroil, Big Green Egg, smoker, charcoal, propane, gas, or electric. 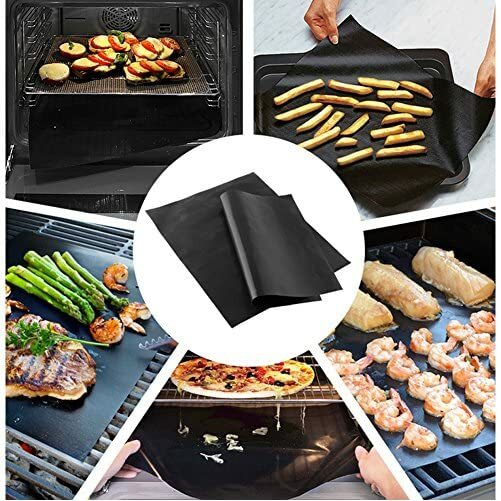 Better than any grill pan or basket, our mat can be cut into any shape to fit your need, even doubles as a bake mat for the oven! NO MESS – No longer to have a barbecue on a nasty, dirty grill grate AGAIN! 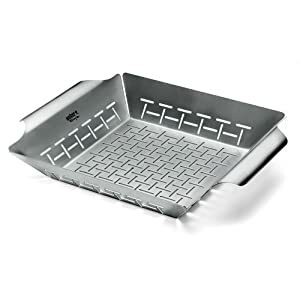 Keeps your food from falling between the grates or sticking to the grill! 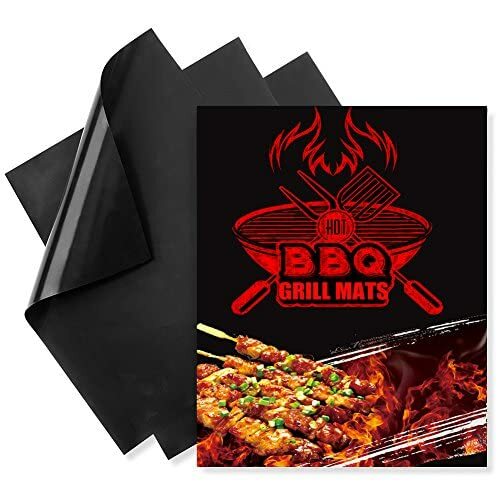 At no time, you’ll be grilling like a professionals by using our BBQ mat. Recyclable and dishwasher safe makes cleanup a breeze! The ROSIMO Grill and Baking Mat Set allows you to grill and bake without the mess. With the ROSIMO Grill Mat, as seen on tv, you’ll be able to cook almost anything on your grill even saucy hot wings. Stop food from falling through the cracks! Great for a wide variety of food! Grilled Cheese Sandwich and more! Hand washable and dishwasher protected. The ROSIMO BBQ Grill Mat can literally be used hundreds of times. Cooking BBQ Grill Mat works for indirect cooking on gas, charcoal, and electric grills Place mat on grill surface and food directly on mat. Do not use above 500 Fahrenheit (260 Celsius) – use low to medium heat settings. Do not use directly over open flame or heat source. Follow all direction for indirect cooking from grill manufacturer. Do not fold or cut the mat. Do not use sharp metal objects or utensils as they could scratch the mat. Cleaning Wash in warm soapy water. Dishwasher protected (top rack only). 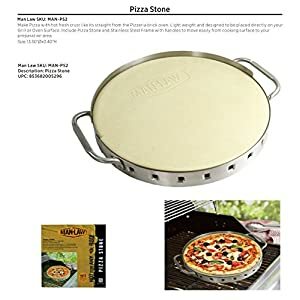 PTFE 100% non stick and reusable. Food simply glides off the PTFE (PFOA free) coated non-stick fabric. MADE FROM PREMIUM MATERIALS – Our BBQ mats are made from 100% PFOA-Free materials.With proper the use of, they may be able to last for years. 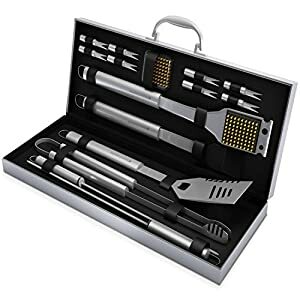 NO MESS – No longer to have a barbecue on a nasty, dirty grill grate AGAIN! 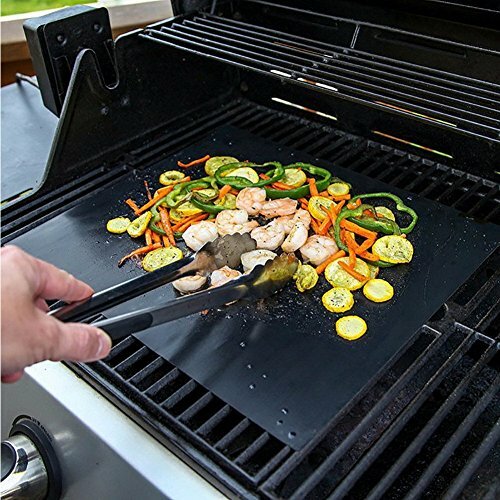 Keeps your food from falling between the grates or sticking to the grill! 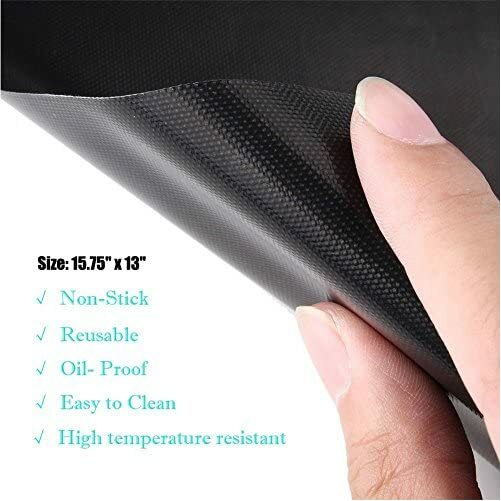 At no time, you can be grilling like a professionals by the use of our BBQ mat. Recyclable and dishwasher protected makes cleanup a breeze! NEW SPECIAL HEAVY-DUTY “ULTRA-THICK” CORE – Built to last and STRONG enough to resistant to temperatures Up to 500°F. 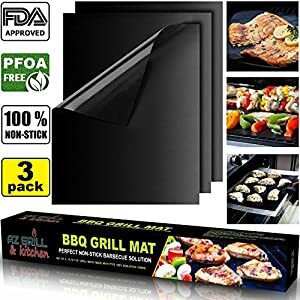 Won’t burn or shrink, like some other low quality barbecue grill mats. Our Special technology prevents flare ups, leaving you enjoy a happy time with your friends and family. 100% MONEY BACK GUARANTEE – You may find other cheap and low quality imitators. But we GUARANTEE you that our mats are made from the best quality materials. If you aren’t 100% Satisfied, we promise you we will be able to refund your money.NO QUESTIONS ASKED!